It becomes increasingly complex in hybrid environments, because now you’re managing security for on-premise, cloud, virtual, container environments, and more. The time commitment can feel staggering. It doesn’t have to, however. Automation and orchestration: Ingest behavior details from your cloud, then command security controls to cloud systems from a single console. The idea is instant, worry-reducing cloud control. 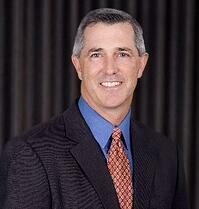 Tim Woods brings more than 20 years of security experience to his role as the FireMon’s technical alliance lead. His global engagements have given him great insights across virtually every market sector and enterprises of all sizes. Tim believes his most important role is education and raising awareness. According to Tim, “Fighting complacency in security should be everyone’s top priority if we are to win the war on cybercrime". © 2019 MediaOps Inc., LLC. All Rights Reserved.